One of the best things about having an old car, hot rod or whatever you call your “money pit”, are the stories you hear whenever you take it out. 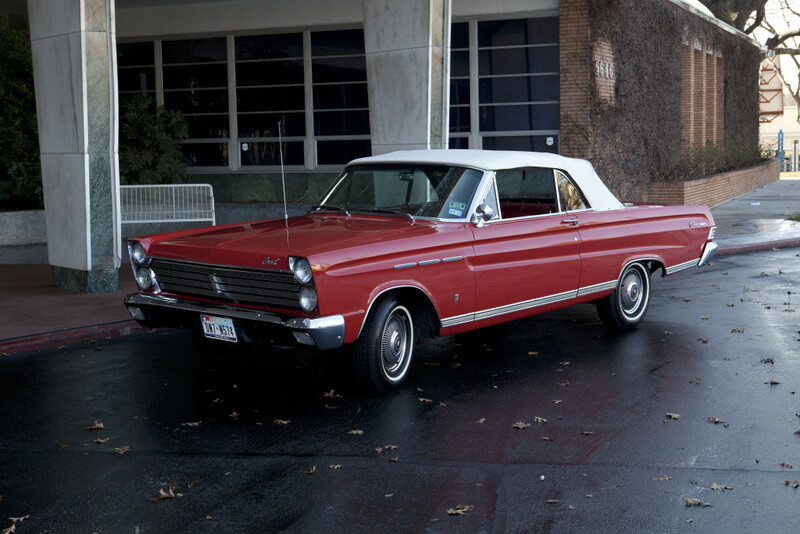 My ’65 Comet Caliente convertible has generated a lot of great stories at car shows, grocery store parking lots, traffic lights, you name it. Basically, if you sit still long enough, someone is going to strike up a conversation with you and it’s going to be a good one. I’ve had a lot of people tell me about the fun times and memories they had in their Comet, or in some cases, Comets. Or, they tell me about various family members who had a Comet of one kind or another. And usually the tales are told from a fond remembrance – often wistfully so. “Wish I still had that old car” or “Man, if only I had a crystal ball and bought that old Comet from Dad/Mom”. We’ve all got those stories in us, regardless of the car make. But the best Comet story I’ve heard in the years I’ve owned the Merc came as quite a surprise in the most unlikely of circumstances. I was on the way to meet a former neighbor friend of mine at a new craft-beer spot back in my old neighborhood. It was a beautiful day, so I had the top down for the drive and I was enjoying my groovy mono-speaker AM radio that I had recently gotten working again. Luckily, there was a parking space available in front of the craft-beer joint, so I slid into the spot between a minivan and some non-descript sedan. As a car guy of a certain age, you have to know that I was surprised by her question. Now, I’m not trying to say that women aren’t “car people”, but it’s not often you meet a woman, or guy, of that age who can identify a vehicle that’s as relatively obscure as mine. As she stuffed the various children and newly coiffed canine into her minivan, she explained that her mother had owned a ’65 Comet for many years and had always claimed it was her all-time favorite car. She went on to tell me her mother had kept the car long after it needed to be retired, probably around the time she, the daughter, was ten years old. The woman could no longer remember if the Comet was a two-door or four-door, but it definitely wasn’t a convertible like mine. She quickly recanted a few stories about her and her mother driving around town, singing along to the radio and how much fun they had in that old car. And she told me how hard it was for her mother to part with the Comet when it was finally time. From the sound of it, they had definitely driven the wheels off that old ’65. That story is going to be hard to top.